Apple's iPhone turns 10: Where does it go from here? 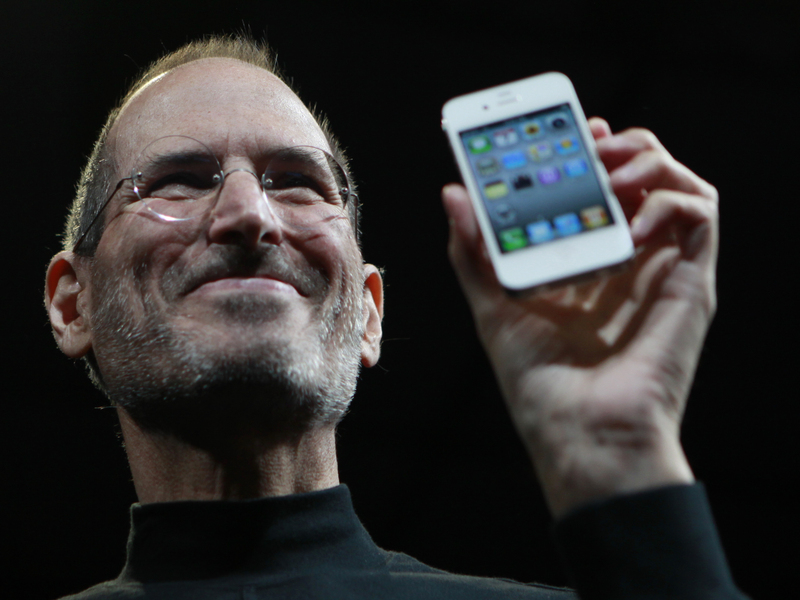 For Apple, the next 10 years will be about refining and simplifying its hugely popular phone. Whether the iPhone remains a rectangular slab of glass for the next decade is anyone’s guess (or, rather, up to chief designer Jony Ive). Importantly, what will become an even bigger focus will be everything else that surrounds the iPhone, like virtual reality and smart home. The reality of the phone market is Apple will have to continue to meet different budgets and lifestyles. There’s no going back to that single original iPhone. The iPhone’s already a hub for our fitness trackers, the Apple Watch and a growing world of smart home appliances and connected gadgets. The latest version of iOS included smart home shortcuts built into the Control Panel, like a home-based remote control. Imagine more of that spreading across more devices and services. It’ll be able to talk to other gadgets more easily. Bluetooth 5 promises greater range and higher speeds to connect to other peripherals. In a home, that could make a huge difference. A wild card could be Wi-Gig, an extremely high-bandwidth, short-range variation of Wi-Fi that could be a path to how future iPhones could mirror instantly to larger screens or accessories. Amazon Echo opened the door. Talking to your gadget is now awesome, not annoying. Siri, however -- which lives on nearly all Apple devices -- is still problematic. It’s not as responsive as Amazon’s Alexa or as intuitive as Google Assistant. It should do more and understand context better. A more ambient, helpful iPhone is a necessary next step. Consider Assistant and how it lives on Google’s Pixel phone, ready to help. iOS 9 takes a few steps there, but expect Apple to continue knitting together apps and services with AI and machine learning. The interesting twist is the company’s emphasis on doing its computations on-device, instead of in the cloud. That’s a completely different approach than Google and Amazon, one rooted in privacy. Apple’s latest Photos app smartly organizes photo libraries by faces and places and automatically knits together memory-reel trailers around themes. Better Siri and smarter AI aren’t just what the iPhone needs; it’s what Apple needs across the board. We’re all sad about losing the headphone jack. What about losing the rest? MacBooks and iPhones have shaved down their inputs to just a few options in 2016. Next, perhaps, comes Lightning. Charging, for iPhones, still happens via the Lightning cable. Contactless charging -- the type that has been available for Android phones for years, and is used by the Apple Watch, hasn’t arrived yet. But when it does, perhaps in the iPhone 8, that Lightning cable will be a lot less necessary. The iPhone still has bezels, areas of the front of the phone where the screen doesn’t extend. For instance, consider the area around the Home Button. Samsung’s recent phones have gone nearly edge-to-edge, and even wrapped the display around the sides. A bezel-free all-screen iPhone would fill up more screen space in a smaller size for an easier grip. Reports of Touch ID being integrated into the display would mean you’ll just touch a part of the screen to log in or pay. Apple’s relationship with cloud services feels overcomplicated. Google and Amazon offer lots of free storage and syncing options. With iCloud, paying for the right storage tier can get pricey. Relying on the cloud has become an answer for accessing files (there’s an iCloud Drive folder, now) and photos. But how do photos and videos get managed properly? Despite a growing number of alternative cloud-storage options, it’s hard to keep things organized properly. Cloud services are what’s bringing Mac OS and iOS closer together, sharing iMessage, file storage, photos, Notes and Pages files. Cloud services like those from Google co-exist, sometimes beautifully, sometimes awkwardly. Phones are, more than ever, just small terminals to a huge connected system. The iPhone’s going to be increasingly dependent on the cloud. Instead of thinking about a pair of phone-goggle accessories, consider the possibilities of a more advanced camera. Google Tango -- an augmented reality initiative under the same umbrella as Daydream’s VR -- uses depth-sensing 3D cameras to scan a room and help project imaginary things into it... or, track movement so that a VR headset could feel like it’s really mapping motion. Cook has stated his interest in augmented reality, which probably indicates that more advanced camera features could be where things go next. Much like the iPhone 7 Plus can sense depth with its dual cameras, imagine more advanced cameras that can enable augmented reality like Google Tango. Then imagine that these cameras could do power tracking for a VR headset, like the Occipital Bridge. Maybe that’s way too much in the weeds for Apple, a company that seems to prefer sleek minimalism. But it’s a short jump for the iPhone to adopt AR or VR. The biggest change in the iPhone of 2027 is that it may not be a phone at at, at least not in the sense of the device we know today. What could be more vital about mobile computing over the next decade is what’s around the phone. Apple already envisions the iPhone as the remote control for our lives; over the next 10 years, that remote will extend to things like VR and smart homes and cities.